Use this entry for releases with the "Sony BMG Music Entertainment" logo and for releases that credit "Sony BMG Music Entertainment" for company roles like Copyright or Distributed By. 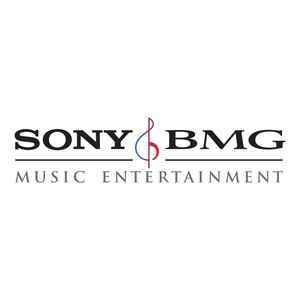 Sony BMG Music Entertainment was the result of a 50/50 joint venture between Sony Music Entertainment Inc. and Bertelsmann Music Group (part of Bertelsmann AG), which was completed on August 5, 2004. It was one of the four major labels. In August 2008, Sony acquired Bertelsmann's 50% stake in the company. The new company became Sony Music Entertainment on January 1, 2009.
usually in conjunction with mould SID code IFPI 07** or IFPI RV**. These CDs are actually manufactured on behalf of Sony BMG Music Entertainment by the pressing plant known variously as Sonopress Arvato (2004-08), Arvato Digital Services (2008-11), or Arvato (2011-present). Sony BMG Music Entertainment should not be credited with Glass Mastered At or Pressed By on such CDs. Please credit the appropriate pressing plant based on the release date of the specific CD.